Unstructured data refers to data originated in unstructured form, such as text data, news, filings, reports and conference calls. It contains 80-90% of all potentially usable business information and has been traditionally either ignored or deemed too expensive to analyse. 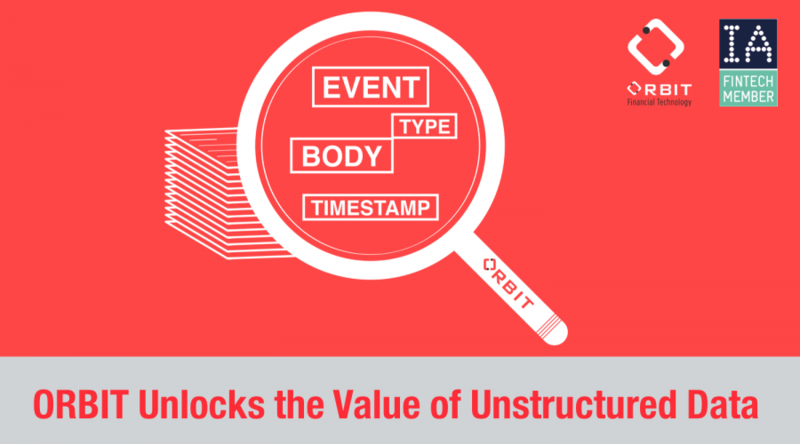 ORBIT unleashes the value of unstructured data, and transforms it into actionable trade ideas, indicators in real-time. ORBIT provides end-to-end business solutions by enabling clients the ability to consume unstructured data in a systematic way. It has designed and developed an innovative way to enable users to build up analytics or trading models with their own domain knowledge. With our in-house developed financial knowledge base, event-level data can be included/excluded and aggregated differently from one user to another. ORBIT processes data at a high granular level and allows users to see step by step how text is processed and aggregated. Orbit’s products and services include Orbit VISION, a web-based data analysis platform, Orbit QuantLab, a new source of alpha derived from market sentiment and Orbit Consulting, bespoke solutions that fulfill all your business needs with higher efficiency and lower costs. Orbit provides a solution to support customized computing that has never existed in the financial industry before.